Welcome to ACAL's August 2016 newsletter. News about ACAL's AGM will be released soon so please begin to consider your involvement and ACAL's position profiles. The provision of funding for further trials of the Foundation Skills Assessment Tool (FSAT) to assess its ability to be used as a self-assessment tool by jobseekers or learners in educational or workplace settings. This would support further development of the tool to better fit all contexts but especially those without qualified and experienced Australian Core Skills Framework (ACSF) educators and assessors. The Adult Literacy and Numeracy workforce is distinct in their skills and needs so there is a particular need for professional development for Adult Literacy and Numeracy teachers in regional and remote areas where there are limited opportunities to continue to build their practical skills. The ACAL AGM will be held later in the year and the Executive positions (President, Vice-president, Secretary and Treasurer) become vacant and elections will be held to fill these positions. 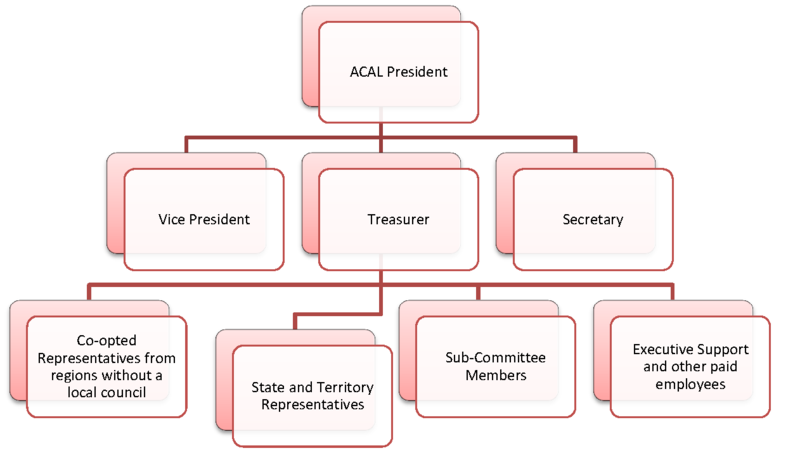 The position profiles are provided to assist members understand and undertake roles on ACAL committee. Insight will be airing Reading Between the Lines: why do so many Australians have poor literacy? on Tuesday 23rd August at 8:30pm (AEST) on SBS ONE, if you would like to tune in. You can also stream it live here: http://www.sbs.com.au/insight/article/index/id/557614/h/Live-Stream (this link will become active at the time of the show). ACAL provided some input to SBS. AWPN webinar Thursday, August 18, 2016 from 1:00 PM - 2:00 PM AEST (Check your time zone). Fee includes live participation plus access to audio and video recordings of the webinar. 'Best practice' training methodologies encourage assessment throughout all stages of participant engagement - we assess needs before or at the start of training; we assess progress throughout training; and we assess achievement of outcomes at the conclusion of training. In this webinar we'll cover insights and strategies to help you incorporate a LLN focus into your current diagnostic, formative and summative assessment practices. Teachers poised to lose their jobs at Cessnock jail have called for the government to build a specialised learning facility on the site as part of its controversial 1000-bed expansion proposal. NSW Teachers Federation representative Michael Falcioni said it made no sense for the government to proceed with plans to slash the 9.5 full-time teacher positions at Cessnock to four clerical roles, and introduce less-experienced trainers, as it prepared for an influx of inmates. 'If you're going to expand the centre you'll want to expand the education program,' Mr Falcioni said. This Ministry of Education (New Zealand) report looks at how the literacy, numeracy and problem solving skills of New Zealand adults compare to other countries and how they have changed over time. This National Centre for Vocational Education Research report considers the past and present structure of the Australian vocational education and training market and prompts important and fundamental questions about the current structure of the market and whether it is best placed to deliver the desired skills and knowledge that students and the Australian economy require. Analysis of National Aboriginal and Torres Strait Islanders Social Survey data on Indigenous labour force status highlights the impact that the recent economic slowdown on Indigenous employment trends. At an aggregate level, the trends in Indigenous employment mirror those of the Australian population as a whole. It is clear that aggregate demand is the key driver of changes in Indigenous employment, rather than individuals' desire to work. Improving Indigenous employment outcomes requires that jobs are created and that policies support Indigenous people to acquire suitable skills so that they can work in those jobs. This latter challenge may be particularly pronounced in remote areas, where many Indigenous residents may not be able to comply with the 'activity requirements' for labour market programs.